Things are going well, I had a visitor this week, I met her during my meditation instructor and group facilitator training in LA in 2008. It was really nice to be able to hang out with an old friend and talk about the dharma. I find that this visit has helped me learn a lot about myself and also my relationship to the teachings and how I should be presenting them to others. Honest exchanges are what make this practice so amazing, I find that the more I practice this path, the more I am learning about myself. Spirituality is seen as the practice to learn more about ourselves, but is Buddhism spirituality? This is a debate that I find is really worth exploring. I have always made a point of not telling people that I am a Buddhist, I find that it is greatly misunderstood in our Western society. In other words, I do not find that Buddhism is a religion or spirituality (I know that many of you may find this confusing, especially seeing as how we get all our books about Buddhism in the spirituality section, but if we really look at the teachings we can see that this may not be the case…). Let me explain, this is something that I have been explaining to a lot of people who are new to Buddhist practice, Brad Warner in his new book goes with the same argument, so I will use some help from him to help elucidate this argument. Most people see Buddhism as a religion, it is easy to see that, as most writings on religion will always clump Buddhism in the big ones. The buddha, however, told his followers to let go of religion, seeing as if we are to achieve enlightenment we must let go of all dogmas. Religion gives us rules and beliefs to follow, hence we are tied to narrow views that tell us what is right and what is wrong. If we are to go beyond narrow views we must let go of all beliefs and question all experience that we have, with this unflinching question we are able to find truth in this life and world. 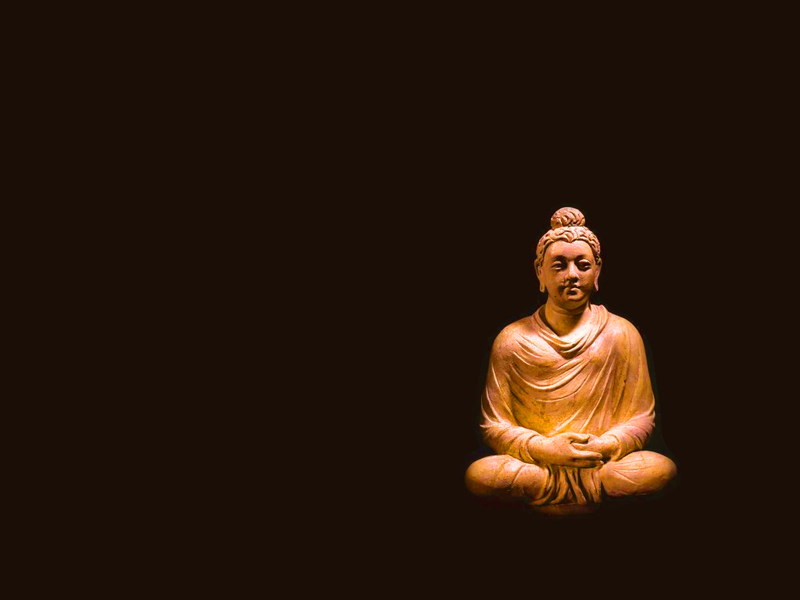 In many ways, Buddhism is realism, as opposed to the two major trends of the history of Western philosophy which are idealism and materialism. Brad’s argument, which I could not of been said any better in his new book, is short and to the point of what I and others are trying to get at. 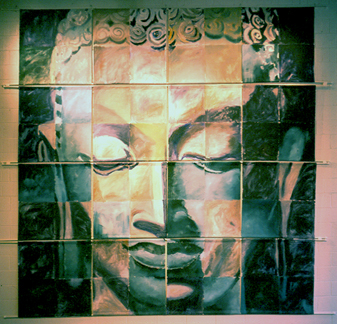 Spirituality, in most intellectual circles, is seen as a kind of idealism “It takes the view that the spiritual world, the world of ideas, imagination, and mental formations, is the true reality.” This brings to mind the common notion in religious circles that we are souls trapped in bodies, but this is not at all a Buddhist concept. Materialism, instead of seeing material matter as nonexistent, sees it as primary. “Materialists, on the other hand, see matter as primary and spirit either as nonexistent or, at least, as negligible.” Buddhism believes that neither materialism nor idealism is correct: “We are not immaterial spirits trapped in material bodies, nor are we mere permutations of essentially dead matter who only imagine we have a spiritual side.” I am sure, if you have dabbled in Buddhism before, that you have heard the famous line out of the Heart Sutta “Form is Emptiness, Emptiness is Form.” “Rather, the experiential, internal, subjective, spiritual side of our day-to-day existence and the hard, external, objective, material world we inhabit are manifestations of one underlying reality that is neither spirit nor matter.” I find that this can help one understand what one could mean by Buddhism being realism. Our meditation practice is to help us navigate our life in the eternal now, it is not meant to hold us back or narrow our view of reality. This week has been really great for me to examine my relationship to the teachings of the Buddha and my practice in general. I guess the best conclusion that I got out of all of this is the realization that instead of trying to define myself with labels and ideas I should really be examining my practice and how it relates to my life. I am always reminded of the famous quote that we are not suppose to see what our practice can give us, but more what are we able to let in from our meditation practice. I think that I have rambled enough, I hope that this will open a debate within yourselves about why we do what we do, and exactly how are we going to approach our spiritual practice. Get in there and wrestle with these ideas to help have the most profound and honest practice possible. Thanks for reading!